A PACKED HOUSE — Thousands have people have packed the new restaurant since its opening in October, propelling Meat U Anywhere to No. 47 in the Top 100 Restaurants in DFW. 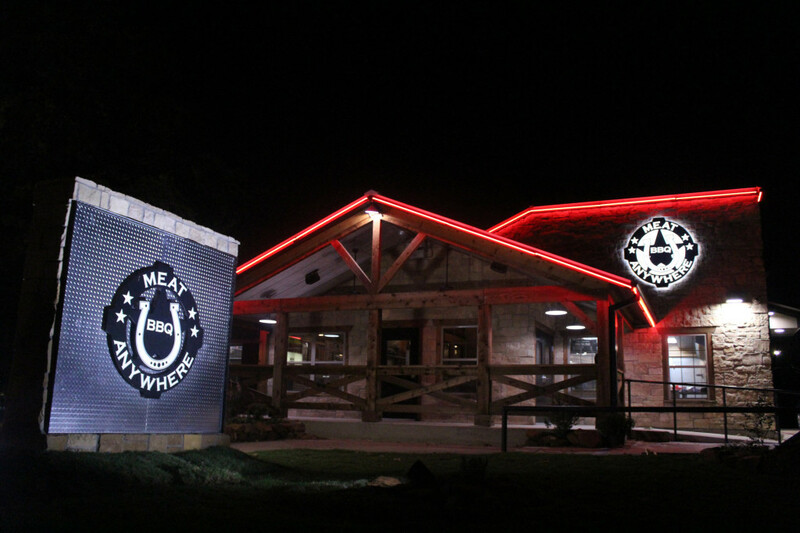 After two years operating as a full-service catering company throughout North Texas, Meat U Anywhere BBQ opened its first store in Grapevine on Oct. 23, 2014. From the very first day, Meat U Anywhere has received rave reviews, first from its growing customer base hungry for premium quality meats and exclusive sides, to media that have written about the unique operation and being named to the Top 100 Restaurants in DFW (actually No. 47). Meat U Anywhere offers ultimate breakfast tacos and hickory and oak-smoked brisket, ribs, sausage, turkey, ham, pulled pork and, on select days, beef tenderloin, beef ribs, pork chops and prime rib. Store hours at 919 W. Northwest Highway, Grapevine, are Monday through Saturday from 6 a.m. until sold out, and on Sundays from 6 a.m. to 3 p.m. Breakfast tacos are served throughout the day. Numerous customers have come into our restaurant in Grapevine, see many of the photographs on the walls and ask where all this started. 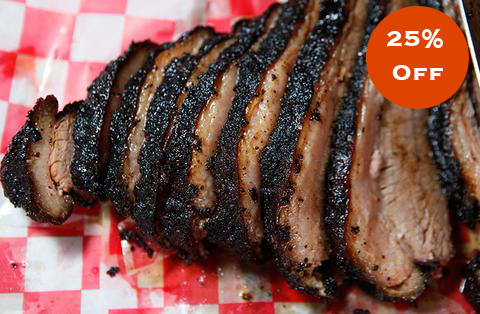 Like many iconic barbecue restaurants across this Lone Star State, ours is not much different. It began with family. Growing up in West Texas, food was always an important part of my life. In fact, it was big for my entire family. We came from a working and proud family. There is much to our family’s history, but for now I will stay on the topic of food, family and creating a friendly atmosphere. For many years, even after I embarked in a career in the food industry more than 30 years ago, I considered my mom as the best cook and I owe much to her, from her passion and recipes to her inspiration of making everyone feel welcome. My mom herself began cooking at a very early age out of necessity during the Great Depression growing up on a ranch in far West Texas. She could do anything. Tortillas, check. Mexican food of any kind? Check. Barbecue. Certainly. Over the open fire cowboy beans and corn bread in Dutch ovens. Of course. True slow-pit smoking (hole in the ground) of sides of beef, pork, goat. That is Texas BBQ 4 Real, but it’s a lost art. When my mom got married, she took all those skills to her new home in town and many times would ditch the gas stove for a wood stove, equipped with a big oven. We grew up to the great smells of spices and meats cooking in our home—from Mexican dishes filled with cumin, oregano and red chiles to those good ol’ American fares such as slow-smoked turkey on Thanksgiving and Christmas Day. Most days and on the holidays, for sure, our house was filled with siblings, their spouses, uncles and aunts, cousins, and friends. Everyone was welcome and few people turned down seconds because, like I said, my mom was the best cook. Many of the techniques and recipes are in use today at Meat U Anywhere. My mom’s passion for cooking inspired four of my nephews to become classically trained chefs at the Scottsdale Culinary Institute in Arizona. My mom passed away in 2005, but her spirit, and great food, lives on.